A penthouse in Hyde Park, London, is now the most expensive rental property in England, after it was put on the market for a whopping £200k a month. The owner of the vast apartment has broken rental records with this figure – approximately one and a half times the average London salary. The five bedroom apartment is located in the most expensive block of flats in the world, of which compromises of only a handful of flats to begin with. It stretches across the entire floor of one of the pavilions at Hyde Park One and boasts unbeatable views over Knightsbridge. The penthouse consists of five bedrooms, six bathrooms, five reception rooms, a 50 meter long hallway and two parking spaces. The main bedroom also boasts “his and hers” bathrooms with rain showers and body jets, separate dressing rooms and a south facing balcony with 180 degree views. The block of flats were built by property tycoons Nick and Chris Candy and the monthly rent of this flat could easily buy a studio apartment outright in quite a few areas in London. The huge family kitchen contains Gaggenau appliances and is fitted out with Bulthaup units. These is a large separate dining area that seats ten people and the flat also compromises of a study, media room as well as a “winter salon”. 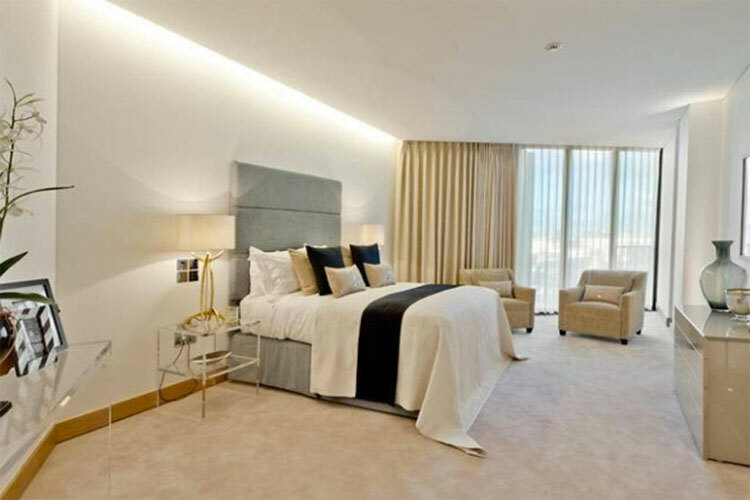 The penthouse is currently the largest available to rent in London as it covers a huge 9,307 sq ft. It is split into two separate wings, with all the bedrooms located in the “city” side and all the living rooms and reception rooms located on the “park” side. The long hallways acts as the spine of the apartment, leading from one wing to the other. "One Hyde Park offers an unparalleled range of services and amenities all managed by Mandarin Oriental Hotels. "Candy & Candy - world-renowned for their uncompromising attention to detail and style - have exclusively designed all the communal areas of the building including the superb spa and recreation facilities, the grand double-height reception lobby, the Park Library and the Serpentine Suite." The £200k a month apartment is approximately six times the size of a typical London house and comes shortly after a large Georgian mansion situated on Audley Square, Mayfair, was put on the market at a rental price of £15,000 a week. It's not known exactly why the owner of this flat decided to rent it out, but records from Land Registry reveal that it was sold to a St Vincent and Grenadines registered offshore vehicle called Motion Incorporation for £56.265 million in February 2011, quite soon after the building was actually built. Top property experts feel that the high end rental sector in London is now being “Candified” much like the sales market was a few years back, but there is still a shortage in properties available at this top end due to owners leaving their properties empty instead of renting them out.